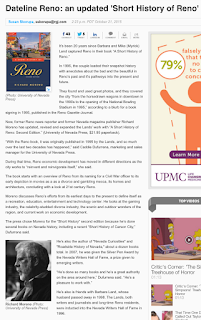 Thanks to Susan Skorupa for the very nice story in the Reno Gazette-Journal about "A Short History of Reno." University of Nevada Press Release on "A Short History of Reno"
The University of Nevada Press has published the second edition of A Short History of Reno by Richard Moreno. 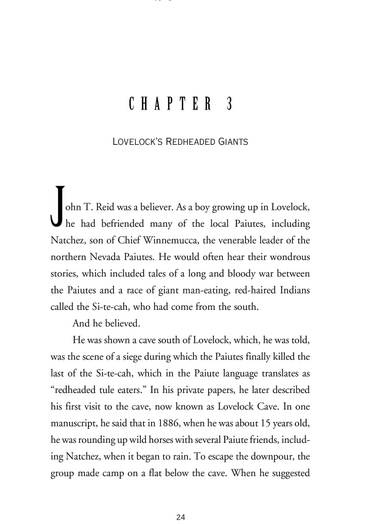 Here's a recent story about the legendary red-haired giants who allegedly once lived in the Lovelock Cave: http://locklip.com/the-ancient-giants-of-nevada-and-the-mystery-of-lovelock-cave/. 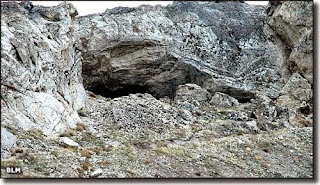 Over the past few decades, the eastern Nevada town of Ely has quietly but diligently sought to save its history. While the revived Nevada Northern Railway is perhaps the best known of those community projects, an equally ambitious effort is Ely’s Renaissance Village, a cluster of six historic railroad houses furnished to reflect the ethnic diversity of the region when it was a thriving mining area in the first two thirds of the 20th century. 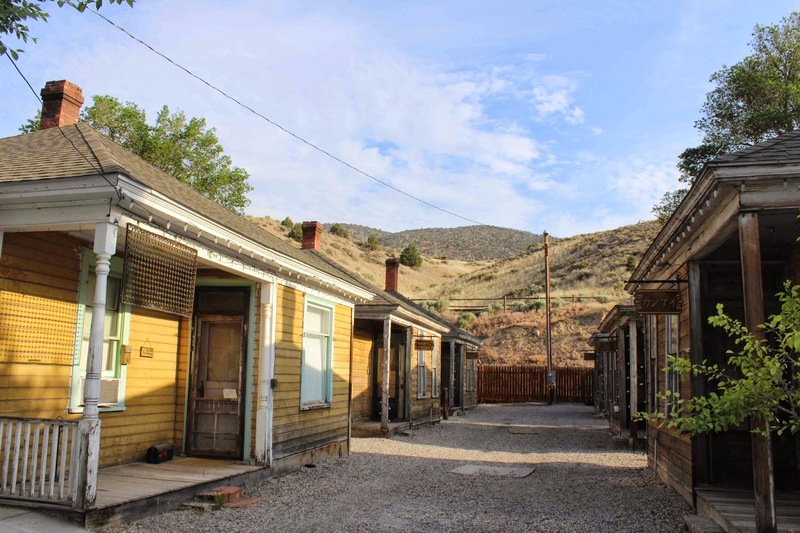 The story of the homes—five are identical railroad section houses while the sixth has a different floor plan and is larger—can be traced to 1907, when the Nevada Northern Railway constructed them for its rail yard workers. Originally, there were six of the 24-feet by 24-feet section houses and they were located at Eighth and B Streets in Ely. Each had a front porch and contained three rooms including a small living room, a kitchen and a single bedroom as well as a bathroom. In 1925, Bill Geraghty (pronounced “Garrity”), who owned a local freighting and storage company, purchased five of the structures (the sixth was bought by someone else) as well as a larger house and relocated them to a parcel he owned on what is now the 400 block of Ely Street. The compound of homes remained in the Geraghty family for the next eight decades. In 2005, the Ely Renaissance Society, a local arts group founded a few years earlier to promote arts and culture in the community—one of its most visible projects are the many colorful murals depicting scenes of local history and culture that are painted on buildings throughout Ely—acquired the Geraghty property. The group’s goal was to restore the structures and establish an art center for the community. Additionally, it decided to renovate each of the houses with historic artifacts reflecting the various ethnic groups that were associated with the region. As a result, one of the homes is known as the Asian House and it has been decorated with items reflecting the Chinese and Japanese immigrants who came to White Pine County in the early 20th century to find employment. 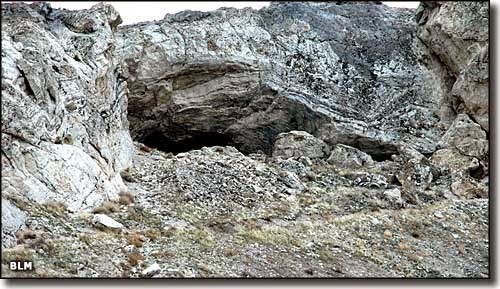 Others include: the Slavic House, celebrating the large number of Croatian and Serbian immigrants who worked in local mines; the French House, which honors the many French Basque people who came to the area from the 1920s to the 1950s to work in the local sheep industry; and the Spanish House, which spotlights the role that Spanish and Spanish Basque immigrants played in the community. The Greek House commemorates the many Greeks who came to Ely in the early 20th century to work at the nearby McGill smelter. Another home on the property, called the English House, was built by the Geraghty family and served as its residence for many years. The name reflects the fact that Bill Geraghty and his two brothers were originally from Devonshire, England, and it is furnished in English and Welsh furnishings. In addition to the homes, Renaissance Village includes an old barn that was once used as storage for the Geraghty storage company, a two-room prospector’s cabin, an Italian House and an old-fashioned General Store, which sells locally made products. A 100-seat amphitheater has been constructed behind the houses to host music events and outdoor theater performances. Renaissance Village is open on Saturdays between June and September. A local farmer’s market is held on the property from mid-August to the end of September. For more information, go to http://www.elyrenaissance.com/.